Width x Length: 20" x 20"
Usually Ships: 24 to 48 Hours! Progressive density synthetic media on air entering side for superior pre-filtering. Air exiting side media impregnated throughout with special adhesive tackifier to hold paint damaging particles and eliminate fiber break-off. 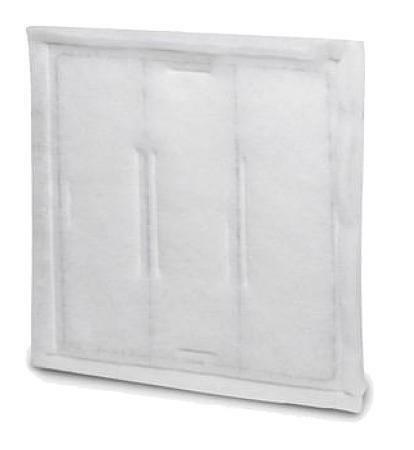 Results in defect-free finishes, long filter life and ideal air velocity. Available in single panels and linked panels. Thermally sealed construction around internal wire frame. Over-cut of media creates self-sealing gasket to eliminate air bypass. Two wire support struts add strength and prevent filter fluttering. Unaffected by mold and humidity and environmentally friendly.